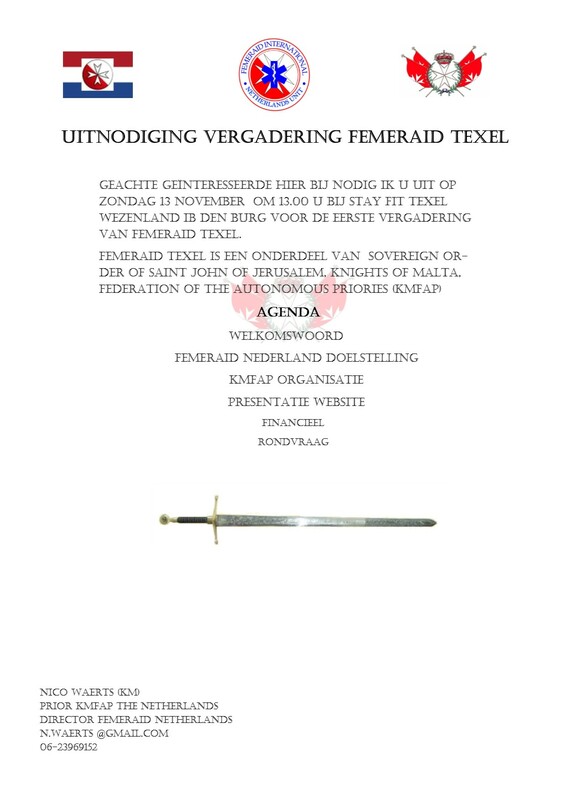 Please note that on November 13 we have the first KMFAP/Femeraid meeting on Texel Starting on 13:00 to 15:30 Address Wezenland 1B Den Burg. Everyone is welcome, members of the IBSSA and Members of the order of Saint George Martyr. Next 28-10-16 KMFAP Dr. Shefki Hysa,Prosperity honored with the Highest Order by the Prince of Malta and the title of Knight of Malta.